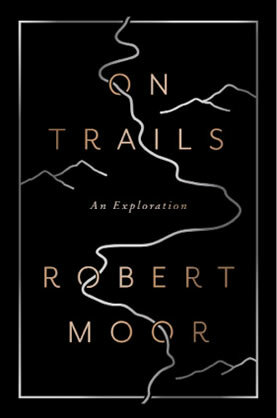 “Without trails, we would be lost.” The simplicity of this statement in the prologue of Robert Moor’s first book, On Trails: An Exploration, opens the door to an in-depth study of trails, their purpose, and their meaning. Exploring paths forged by creatures ranging from ants to elephants to modern humans, Moor attempts to define the scientific and practical elements which combine to form trails. He goes on a quest to understand pathways across natural systems, exploring everything from deer trails in Alabama to the extensive International Appalachian Trail, sections of which cross North America and Europe. Moor himself is no stranger to trails. In 2009, he completed a hike on the 2,000-mile Appalachian National Scenic Trail (AT), the southern link to the International Appalachian Trail. It was this trip that sparked his deep interest in trails, and the best moments in the book come during his deep dives into what it took to hike the AT and the fascinating history of this route. This statement gets at the heart of On Trails, which looks past simple definitions of trails to their real purpose, not only as pragmatic shortcuts from Point A to Point B, but as portals to fulfill what is desired by those who travel them. “It is impossible to fully appreciate the value of a trail until you have been forced to walk through the wilderness without one,” Moor states. Moor delves into the drama and intrigue of difficulties faced by hikers on the trail. In one inspired section, he details an adventure by accomplished naturalist and author Henry Thoreau as he attempts to climb Mount Katahdin at the northern terminus of the Appalachian Trail. Thoreau and his two companions turned back after experiencing heavy weather and difficult conditions, and Thoreau later wrote that it was among “the most treacherous and porous country” he ever traveled. Overall, Moor’s examination of how and why humans and animals make trails includes some great revelations, but the author ultimately gets distracted on side paths. For example, we lose sight of the book’s main theme during a detailed look at the history of livestock. Moor also spends too much time bogged down in the minutiae of scientific studies, and his argument that the movements of ancient marine organisms represent the earliest example of trails is not convincing. It’s a stretch to say that small creatures were developing “trails” while they were simply moving about. It would also have been useful for Moor to document more formally established trail systems throughout the world. One example is the National Trails System in the United States – 30 long distance trails that cover the entire country. Only two of these routes receive mention in the book, the AT and the Trail of Tears. A study of other profoundly important trails in the system, like the Nez Perce National Historic Trail, would have been more compelling than the author’s preoccupation with scientific studies. Routes like the Nez Perce Historic Trail preserve culture and history, as do many other trails around the world, several of which have been important to the survival of entire peoples. For readers who want to explore the endlessly fascinating world of trails, On Trails is a reasonable place to start, but it’s just a beginning.